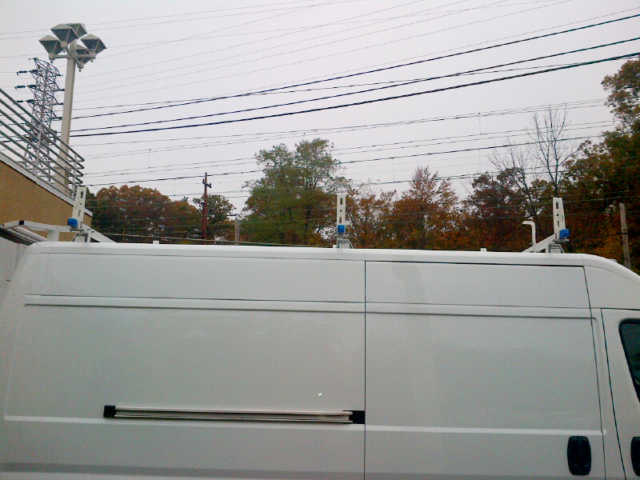 2019 RAM ProMaster Cargo Van in Summit, NJ! 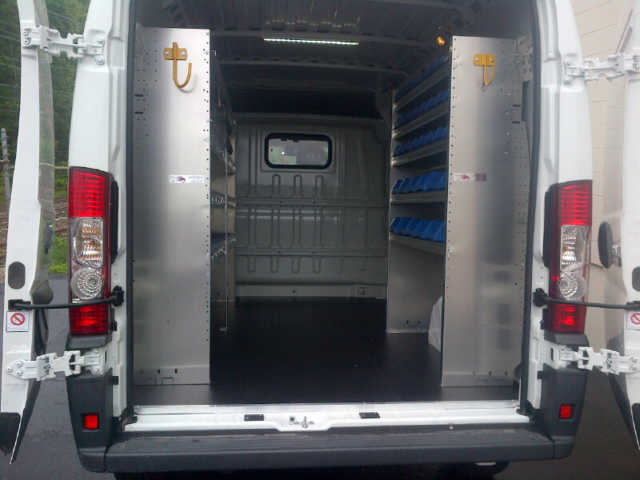 Salerno Duane Commercial Trucks now has the new 2019 RAM ProMaster Cargo Van in Summit, New Jersey! 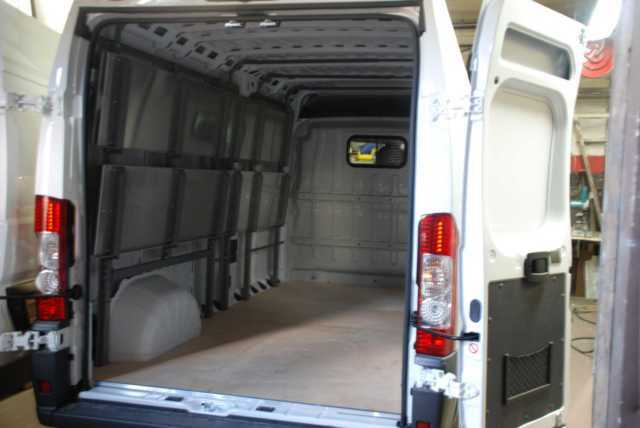 The 2019 ProMaster Cargo Van is built with a standard V6 engine up and is available with an efficient 3.0L ECODIESEL I4 engine that produces up to 174 HP. 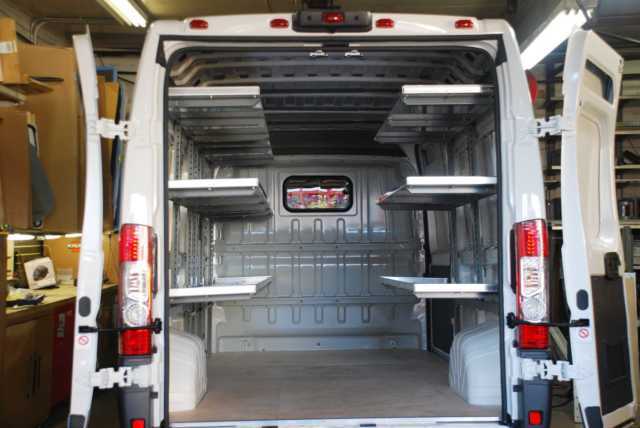 Our RAM 2019 ProMaster Cargo Van lineup is equipped with up to 530 cubic feet of cargo capacity and allows drivers to easy walk from the cab to the cargo area. 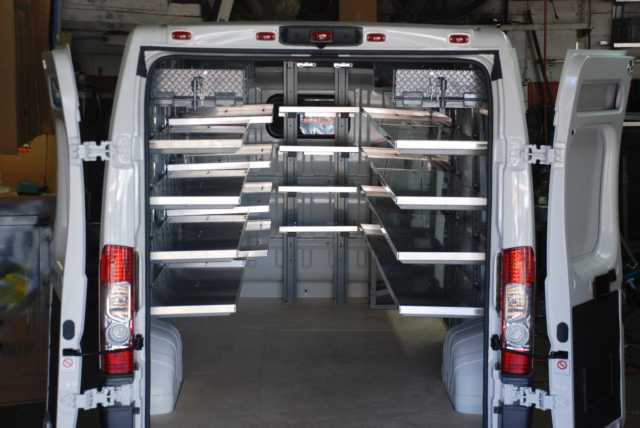 The RAM ProMaster is very flexible and allows many difference configurations based on what would work best for you. The 2019 RAM ProMaster Cargo Van also has an available hands-free Uconnect technology system which features a 5-inch touchscreen to handle available navigation, Bluetooth and entertainment options. RAM Pro Master Vans also have a cargo van payload of up to 4,680 pounds and a maximum towing capacity of 6,800 pounds with capability that doesn’t compromise efficiency. Visit our Salerno Duane Commercial Dealership to see the new 2019 RAM ProMaster for sale in Summit, near East Hanover and Morristown, New Jersey. Visit our dealership to test drive the 2019 RAM Cargo Van model and see the latest Commercial Deals on this Pro Master in Summit. 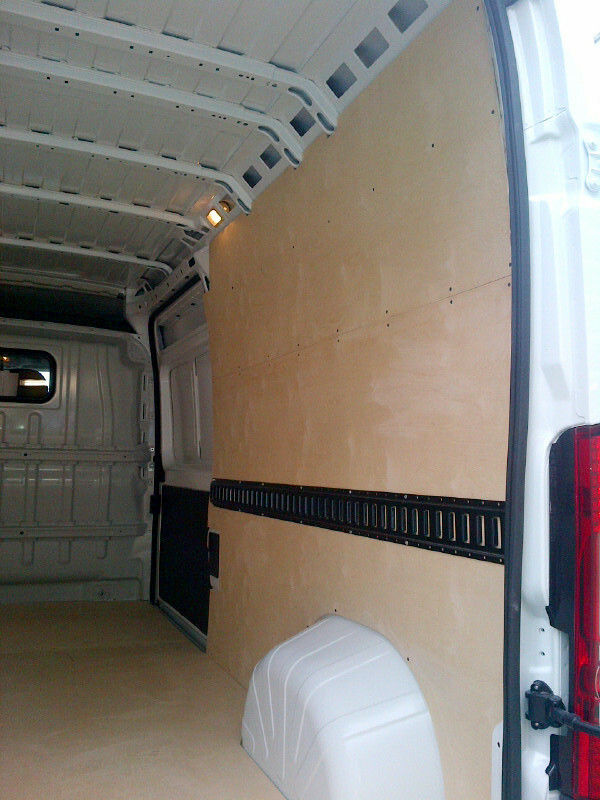 We call this the All-in-One Contractor’s Package for the Ram ProMaster in New Jersey. 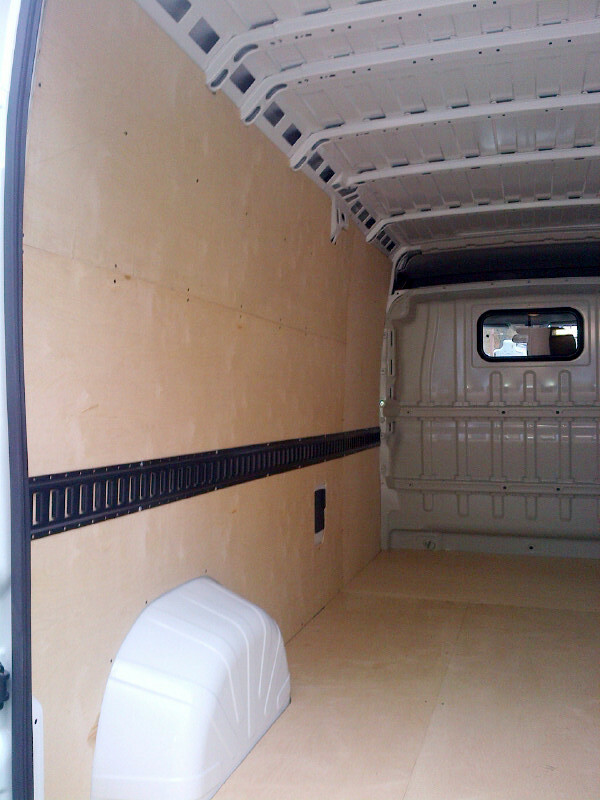 It consists of everything a contractor needs to get the job done. 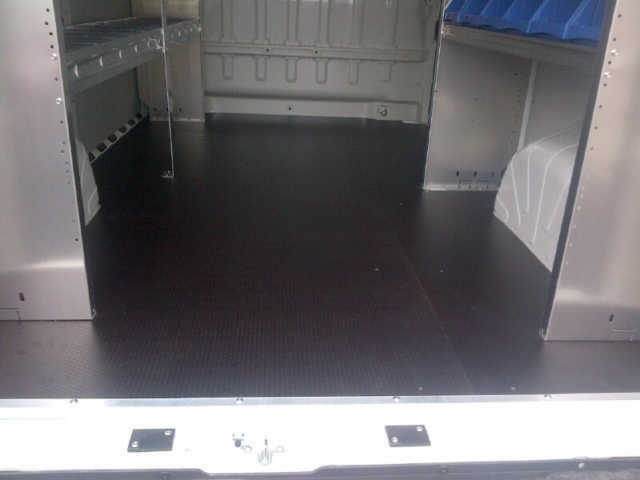 With this awesome upfit, you get a Composite wood floor, Composite side walls, 2 foot led light bar, 2 complete steel racks on left side with shelves and 1 lockable cabinet, 1 complete steel rack on right side complete with bins that are removable, and 1 large hanging hook on each shelf at the rear of van. 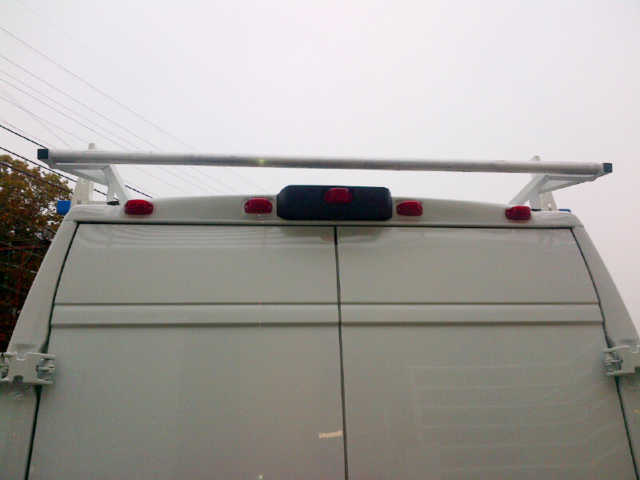 Do you have specific Contractor’s vehicle needs? Give us a call to find out about our Custom Work Trucks! 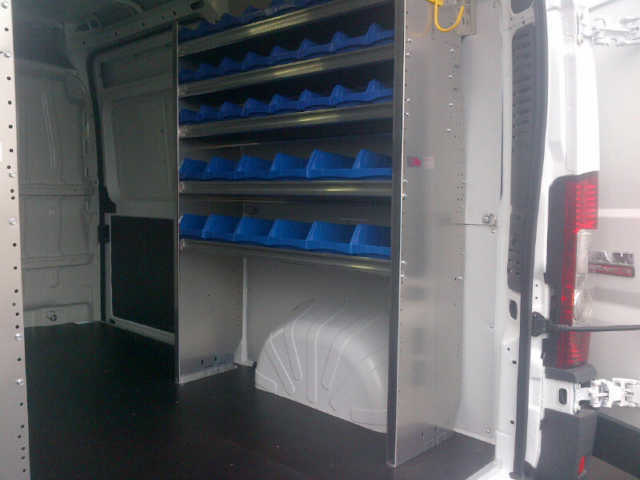 In the 2019 Ram ProMaster HVAC Custom Work Trucks upfit, the shelving goes completely around the inside of the entire van and all the shelves will have bins in them that will be numbered , so as to have the ability to completely control parts and inventory for the company. 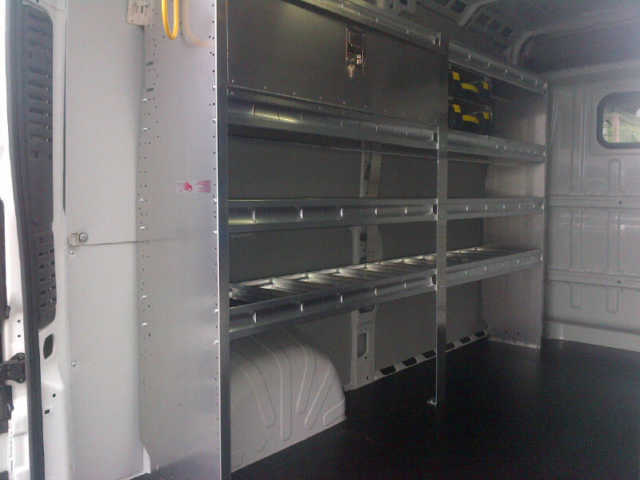 At the top of the shelves are pipe racks for all different types and lengths of pipe and on the side door opening toward the front are bottle holders (4) of them for associated tanks used on the job each day, plus a step has been added at the back of the truck as well. Have any other HVAC needs? Just ask! We call this the 2019 Ram ProMaster Contractor’s Utility Package. 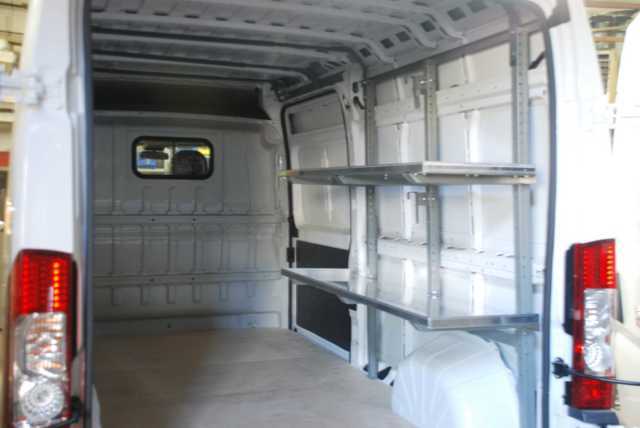 It consists of an Adrian Steel 3 bow ladder rack with roller, A Maple wood floor, Maple wood side walls, with one row of E track down the sides. 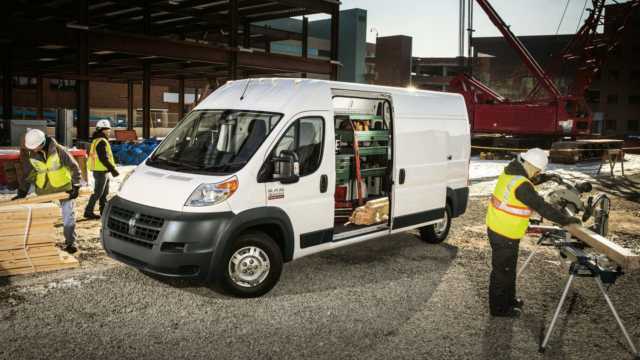 Do you have specific Contractor’s Custom Work Trucks needs for your 2017 Ram ProMaster in NJ? Give us a call! 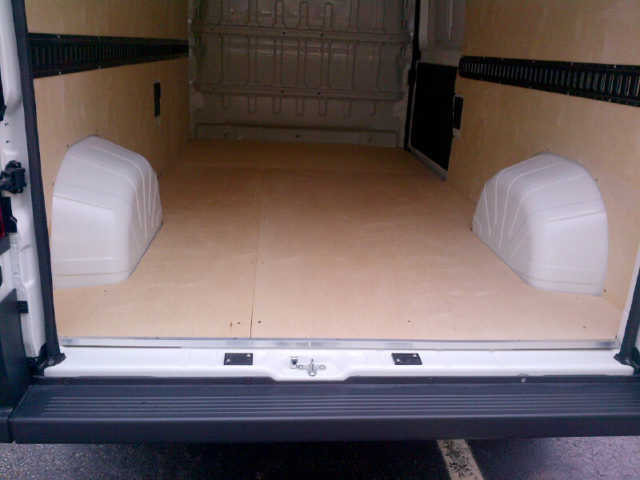 Looking for Your Own Customized Ram ProMaster Cargo Van in NJ? Let us know your model, utility needs and time-frame!